Bloggers United; Connecting Bloggers, Vloggers and Social Media Gurus. You may have heard or seen about us but to fill you in if you haven't - Bloggers United was created by fellow blogger Jasmine from Sweetaholic Beauty and myself. Towards the end of last year Jasmine and I teamed up on the plan to create a blogging event which then developed a million ideas flooding from our heads into something bigger then we ever would have imagined ourselves doing now. Here is where we present to you: BLOGGERS UNITED. Australia has one of the largest and strongest beauty and lifestyle blogging communities in the world. From bloggers and vloggers to social media gurus, we're hoping to bring all of these fabulous people together to create a supporting and exciting community. But.... We are not just about one event. We're about all year round, full supportive, hands on community. 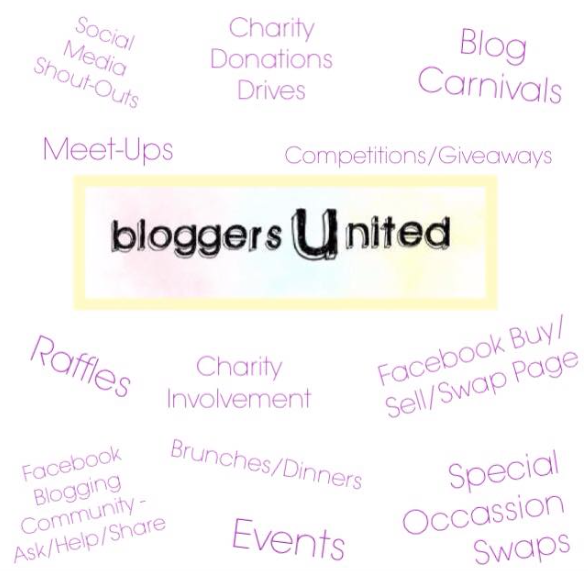 This is just a short list of the ideas we have put together but we're open to having your input and ideas as well as Bloggers United is all about getting as many people involved as we can. Bloggers United is very much about YOU as a blogger/vlogger or social media guru, as our logo displays the ‘U’ being larger than the rest of the lettering. We are all about helping one another out and being the best we can be in our blogs. Bloggers United are currently recruiting and searching for ‘state representatives’ in each state of Australia. Appointed state representatives will be announced in due time. Each state will have two (2) representatives that will join in running all of the above listed items in their own state along with the Bloggers United creators. Join in on it all via our Instagram page, or you can request to join our Facebook group where we have many useful discussions that are related to the blogging world. This is test comment from gooyaabitemplates support team. Please remove it..